Opis: A camera with over 67 million pixels (digital picture elements) was used to record this stunning image of spiral galaxy NGC 253. Known as the Wide Field Imager (WFI), the camera is the latest instrument to be installed at the European Southern Observatory's 2.2 meter telescope in La Silla, Chile. Constructed from exposures made by the WFI in December 1998, this picture has been cropped from the full field to emphasize the galaxy and contrast adjusted to follow the graceful, winding arms and dramatic dust lanes of this photogenic island universe. 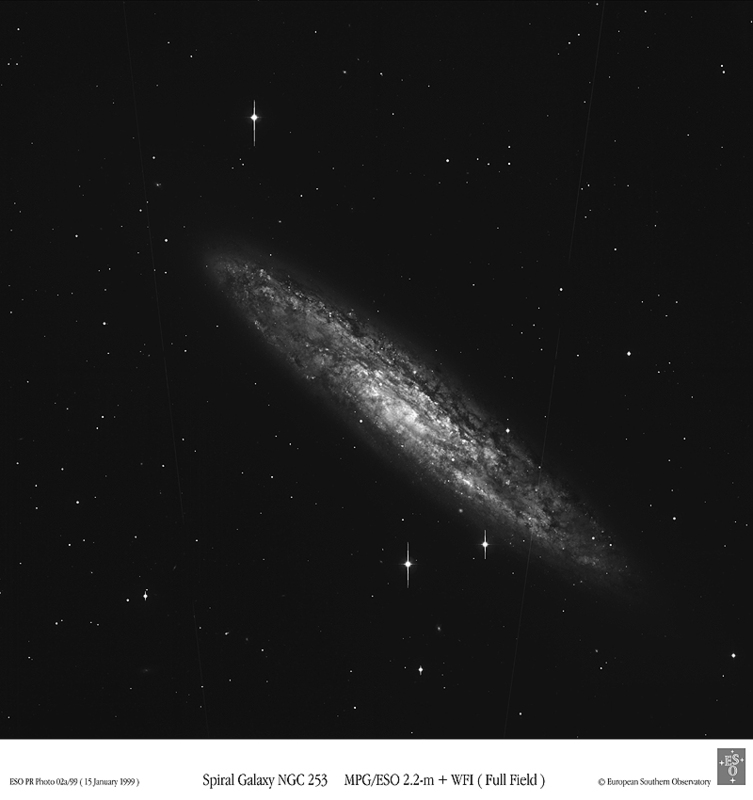 Relatively bright foreground stars produce the sharp vertical streaks seen here while higher resolution versions of the image show intriguing, faint, background galaxies and likely globular star clusters associated with NGC 253. Two faint satellite trails are also visible. 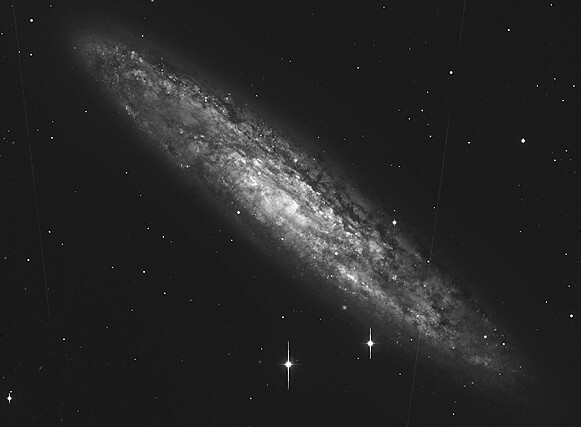 NGC 253, an Sc type spiral, is about 8 million light-years away in the southern constellation Sculptor.